...maintain yourself above these stories of caos; manitain your energies in the hightest degree, mainten yours hightest ideal, and intentions with total knowledge that what must be exposed will be exposed. The kitten do not seem to mind the monkey holding him close. I think the kitty likes it. He would be long gone if he didn't. Maybe he is purring too? 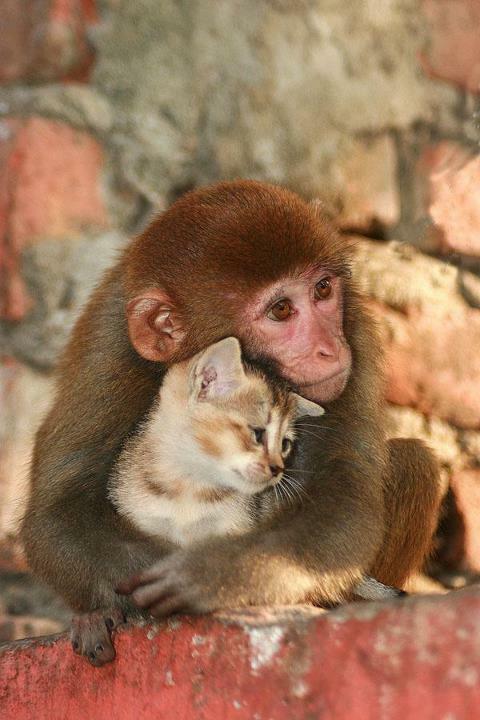 The monkey may be listening to the kitten purr. enjoing their fellowship; indiferents if cames from diferent races.